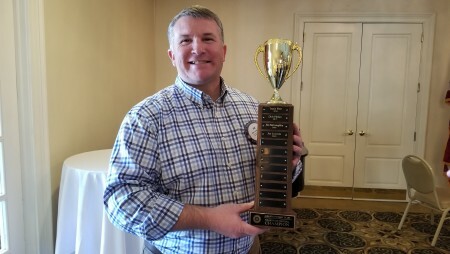 Bragging rights for the Auburn Rotary Club’s annual “Foundation Football” goes to Joe Lovvorn, whose picks of the Oklahoma Sooners and the Los Angeles Rams put him on top among the 41 Rotarians participating in this year’s competition. Every regular-season point scored by a Rotarian’s D1 college and pro team picks equates to 10 cents, and each win results in another $3 contribution to the Rotary Foundation. This year’s competition resulted in combined gifts of $5,608.20 to the Rotary Foundation, which enables Rotarians to advance world understanding, goodwill, and peace through the improvement of health, the support of education, and the alleviation of poverty. During the past 100 years, the Foundation has spent $3 billion on life-changing, sustainable local, regional and global projects.